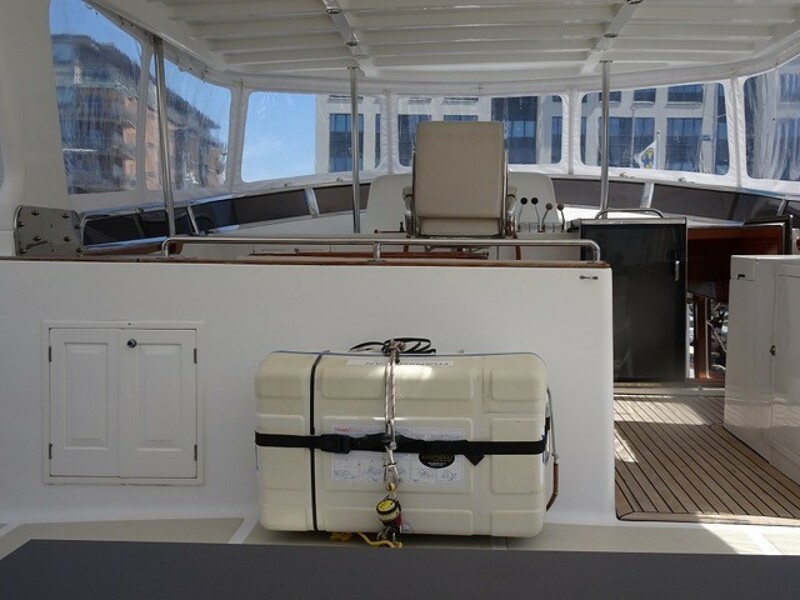 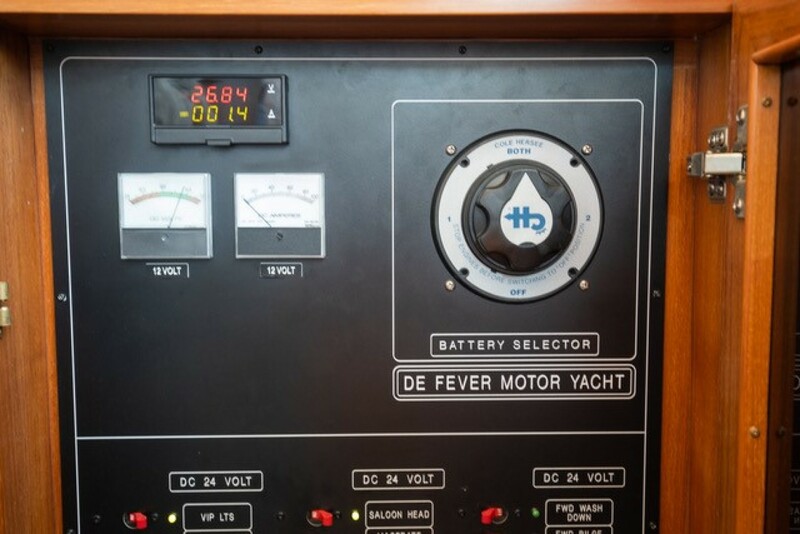 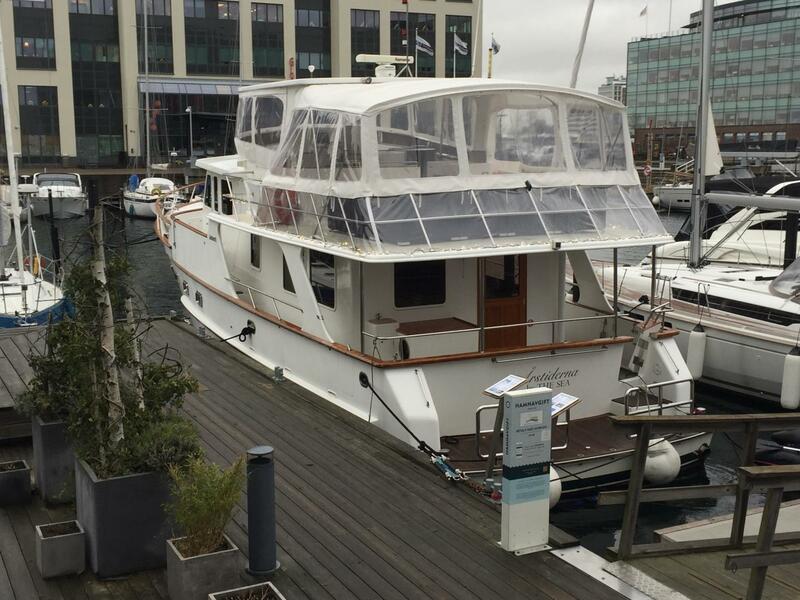 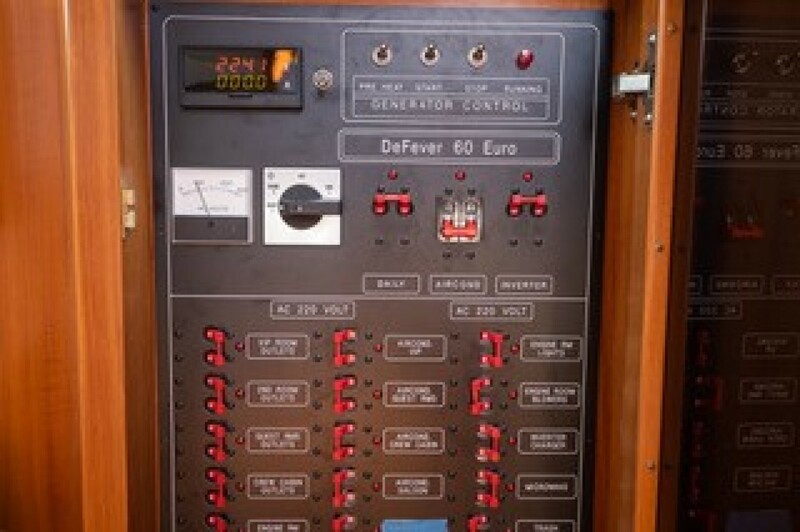 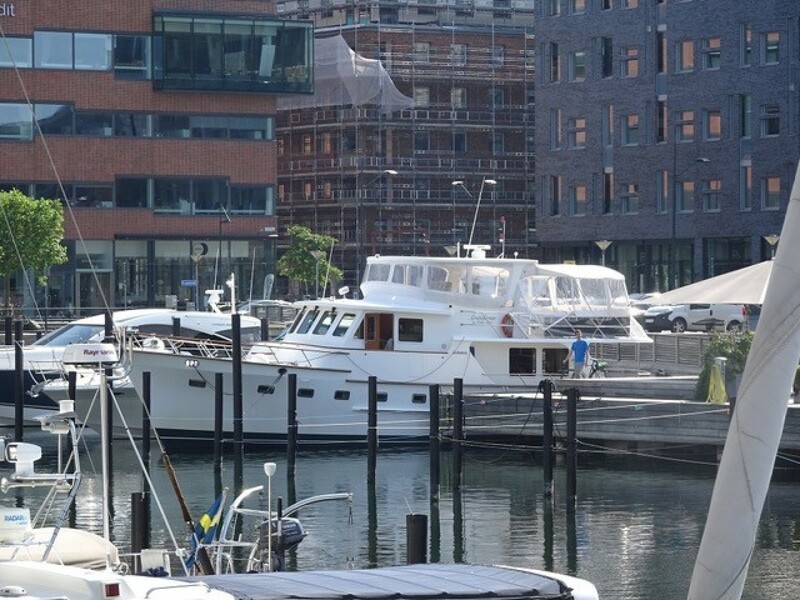 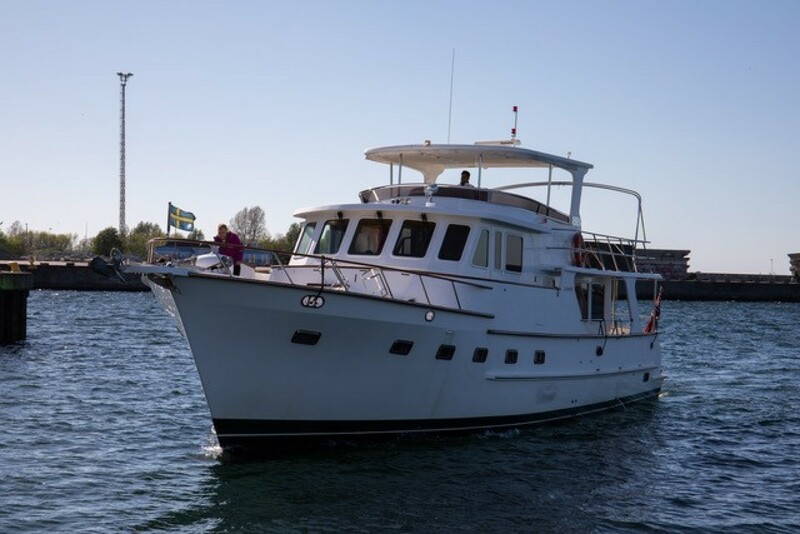 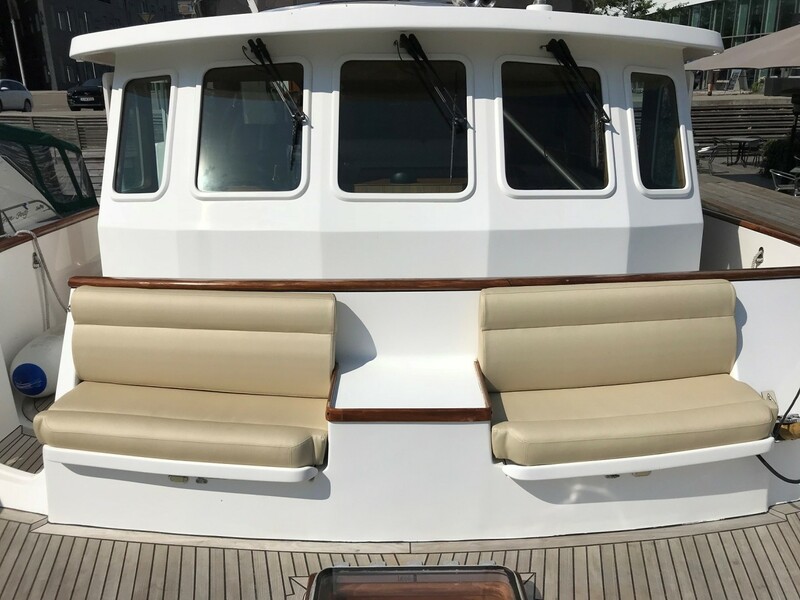 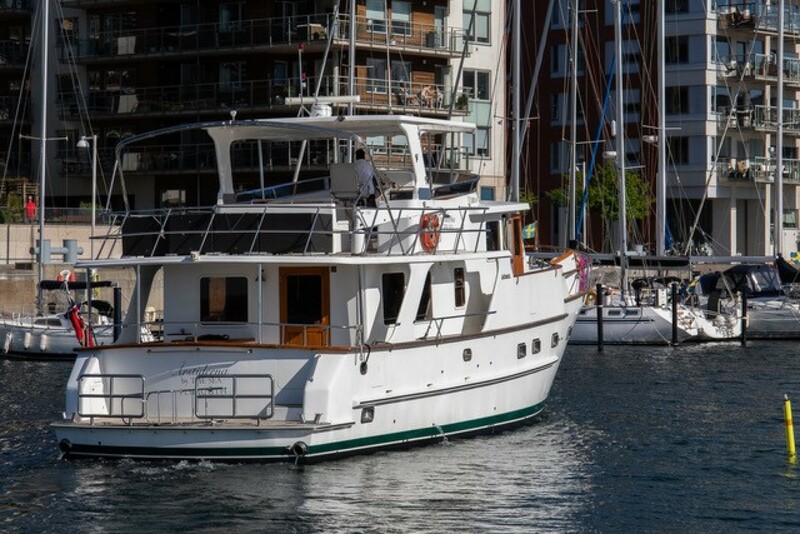 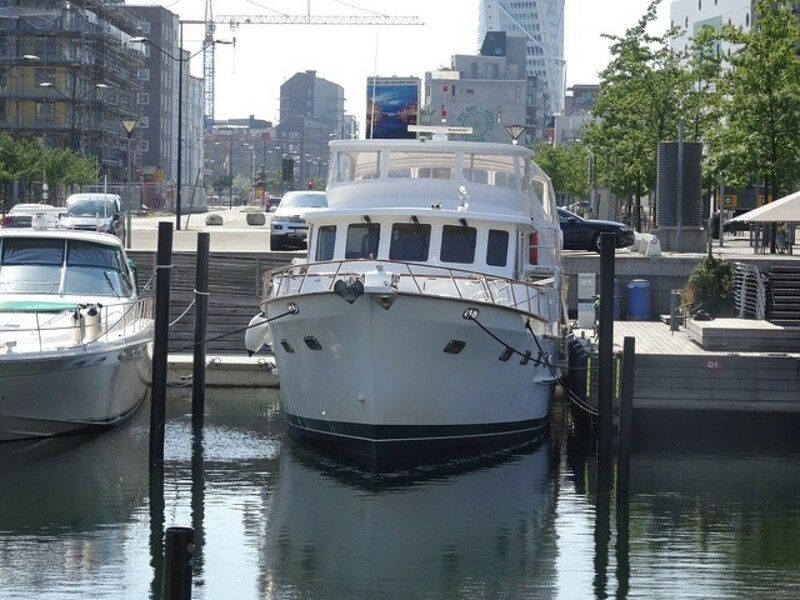 The Defever 60 Offshore is a heavily built flush deck Motor yacht with a classic Trawler profile and long‐range capability. 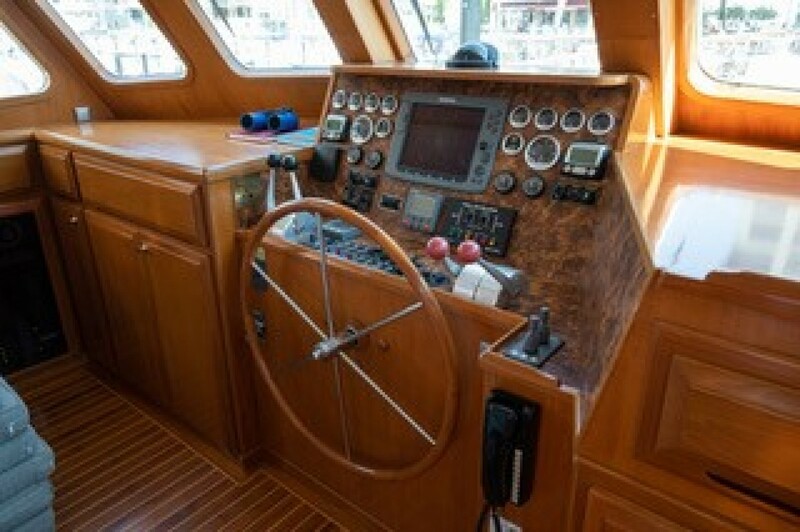 Her deep keel helps protect the props and running gear. 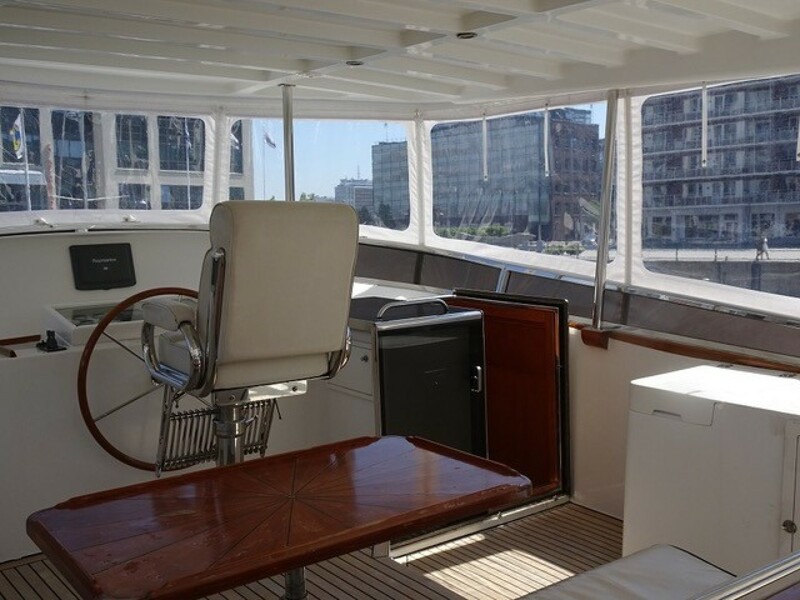 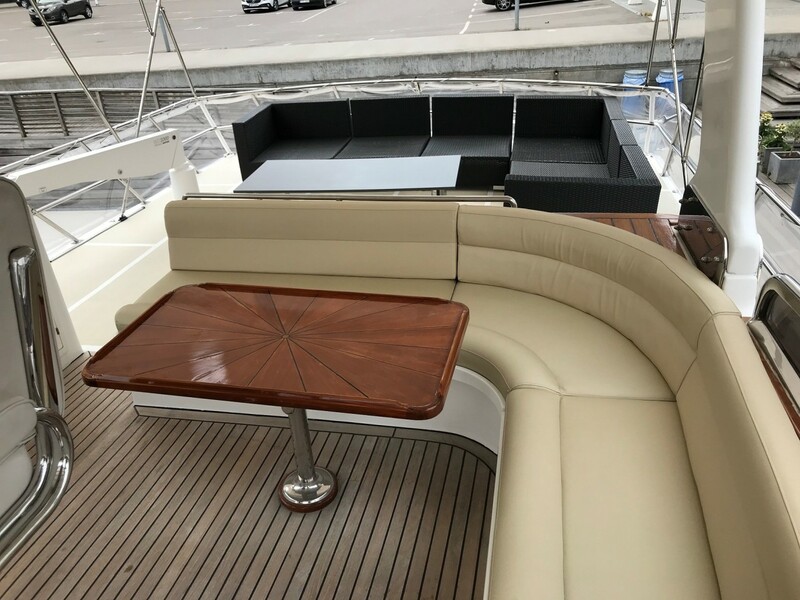 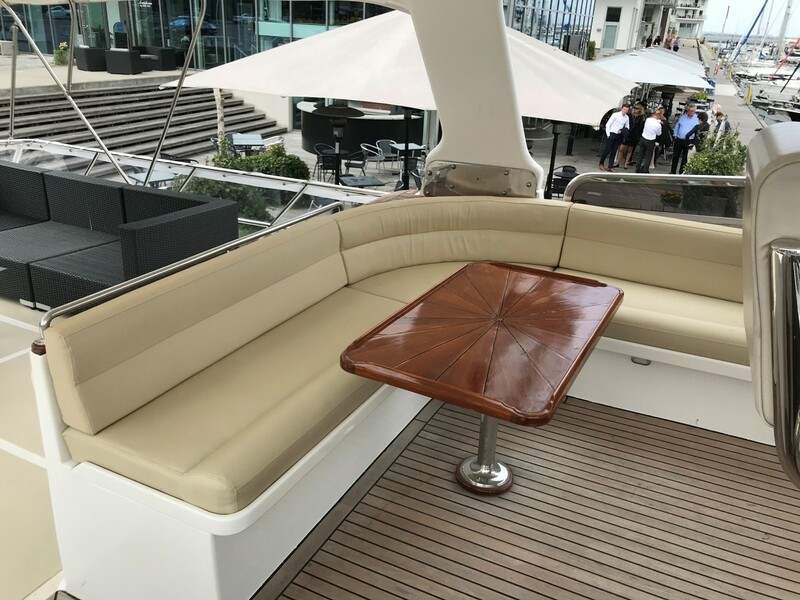 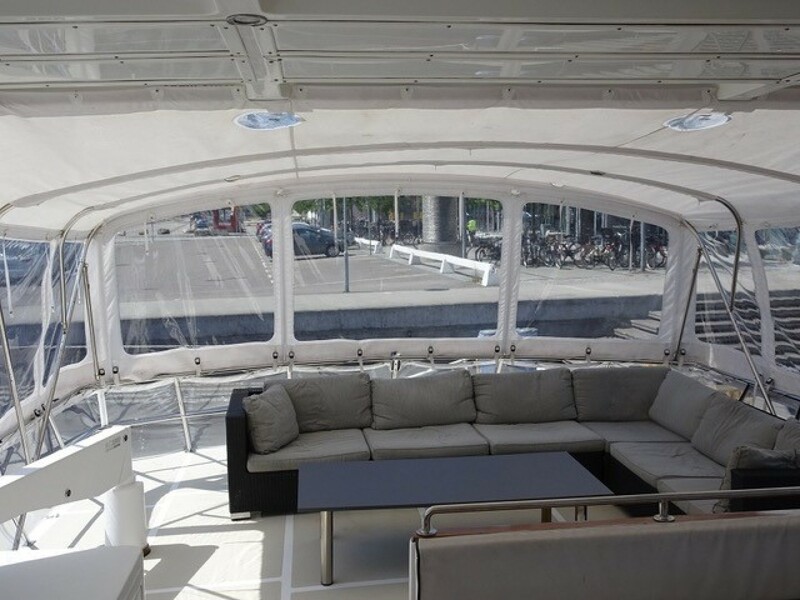 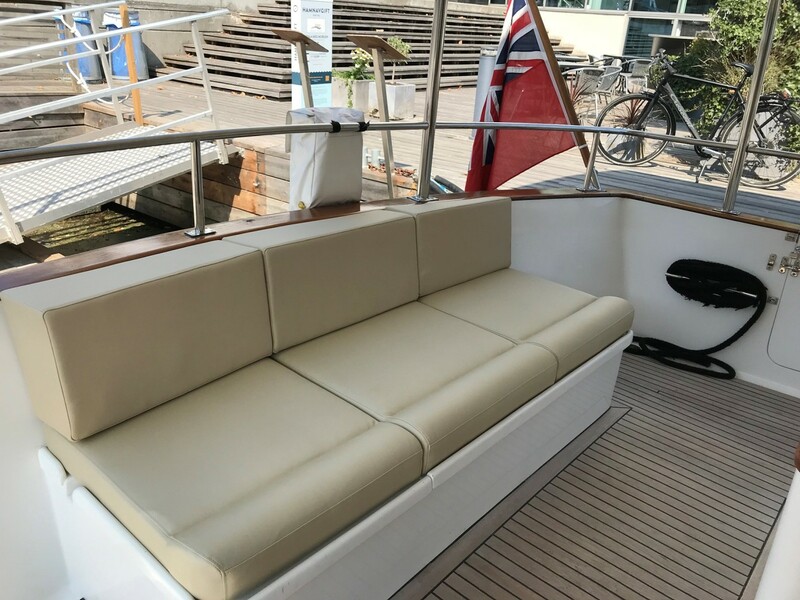 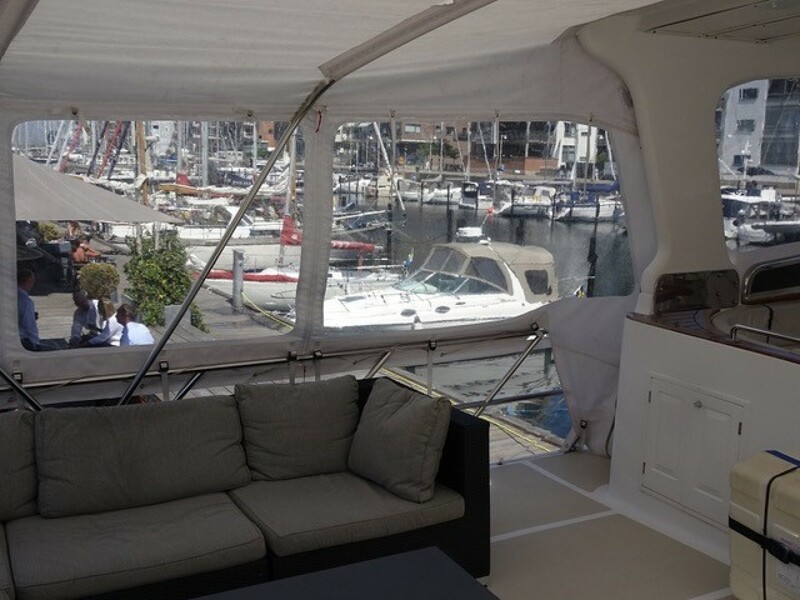 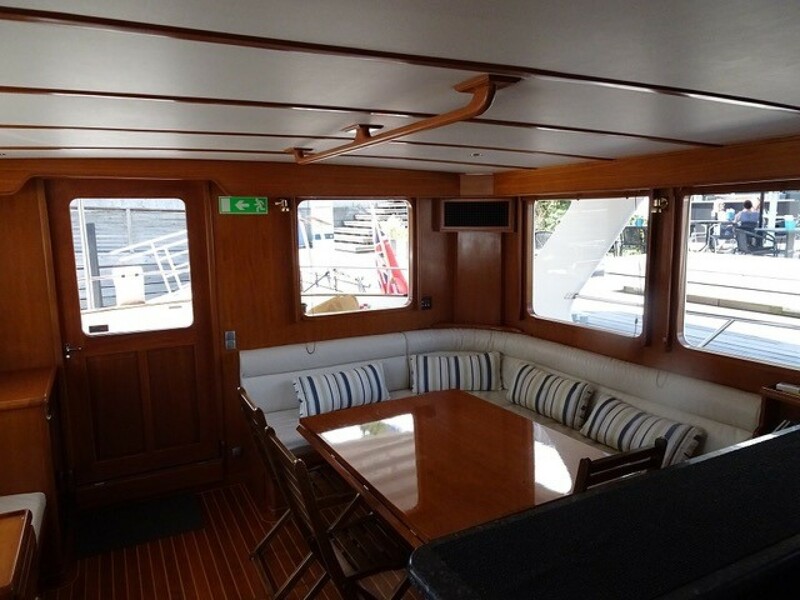 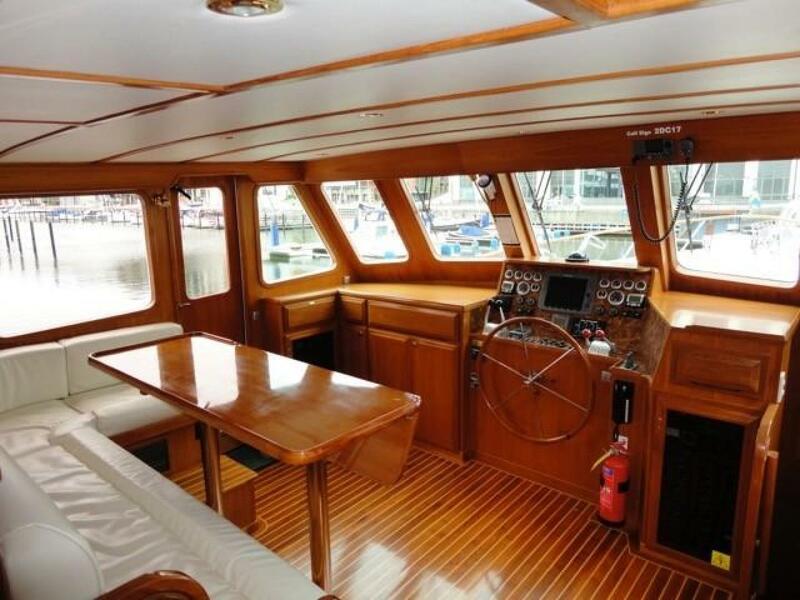 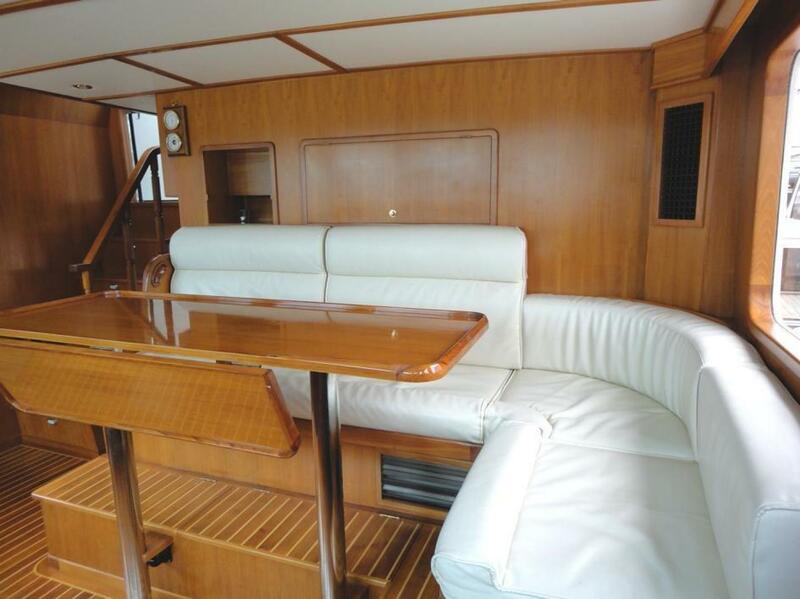 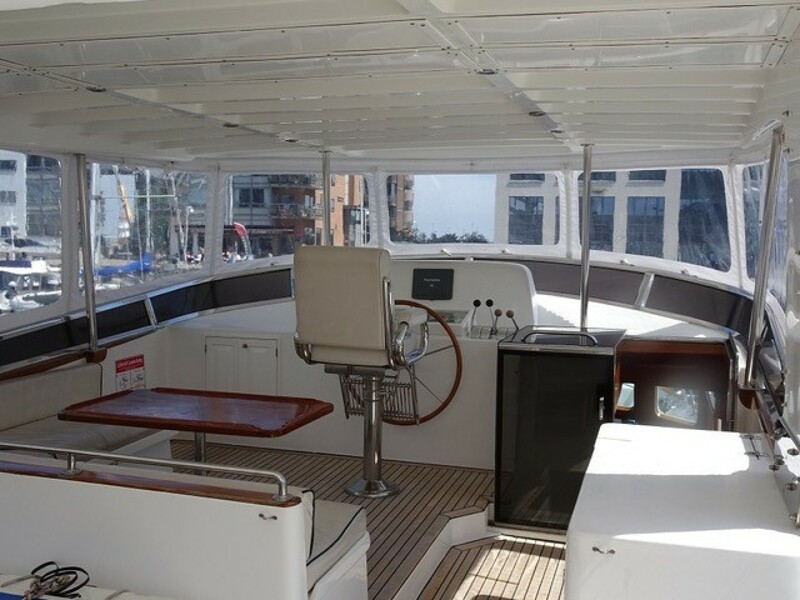 The spacious aft deck and wide side decks are desirable characteristics of any serious cruising yacht. 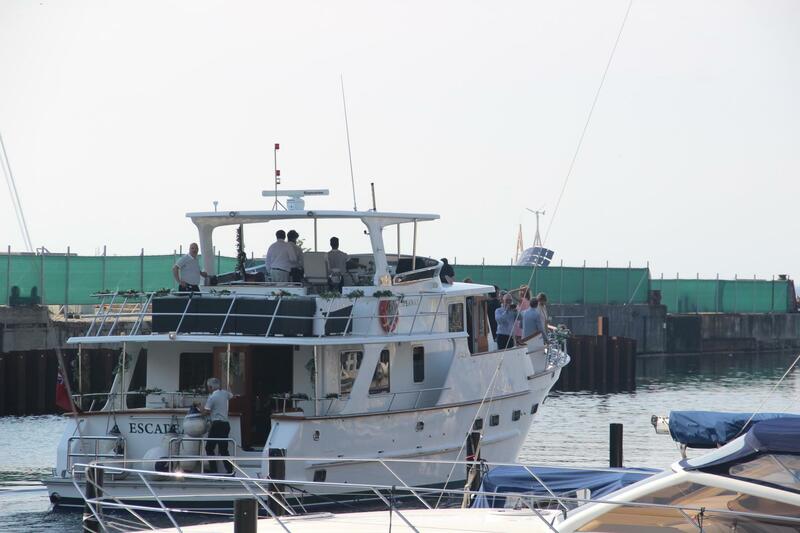 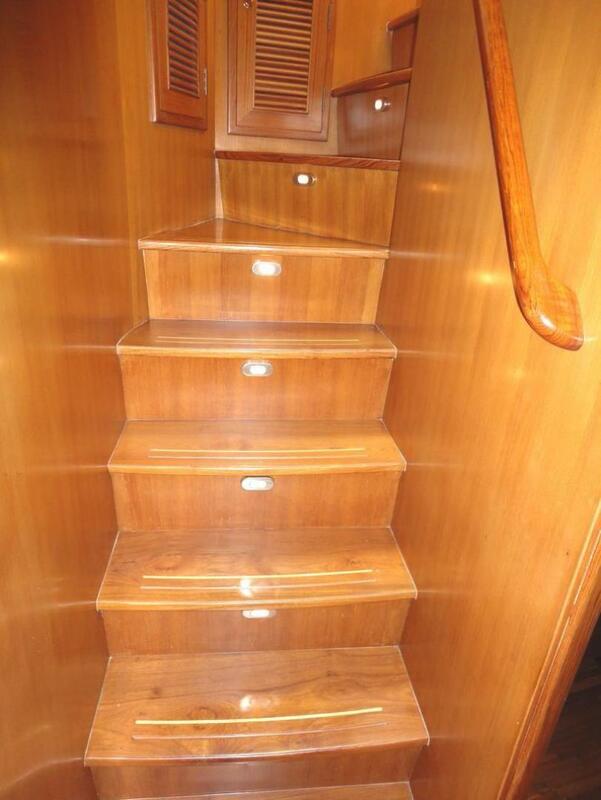 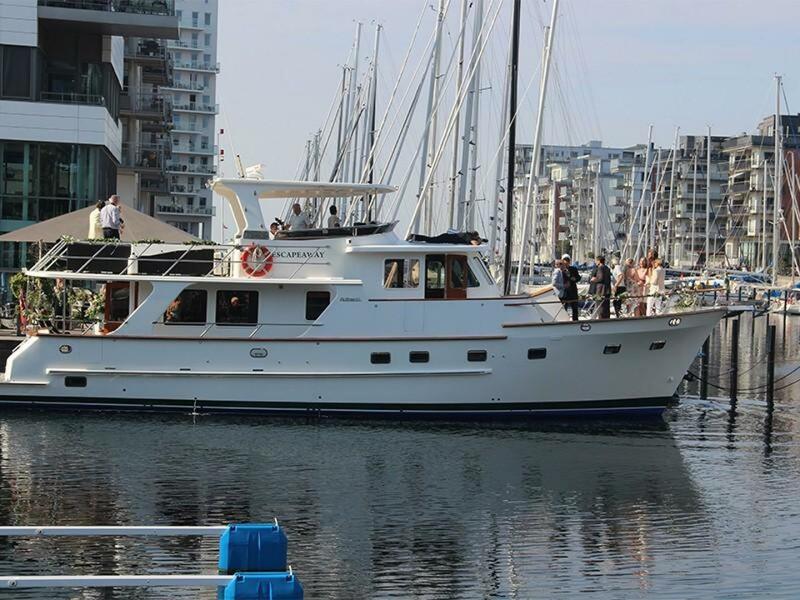 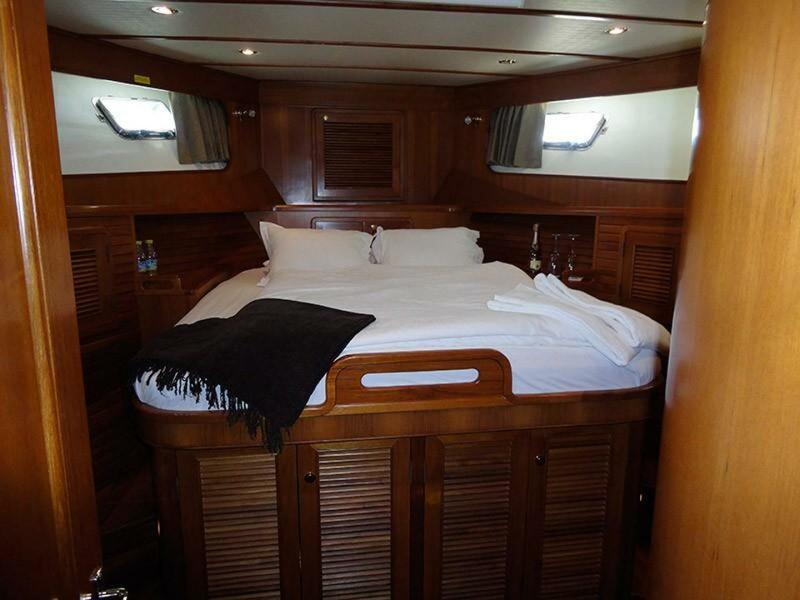 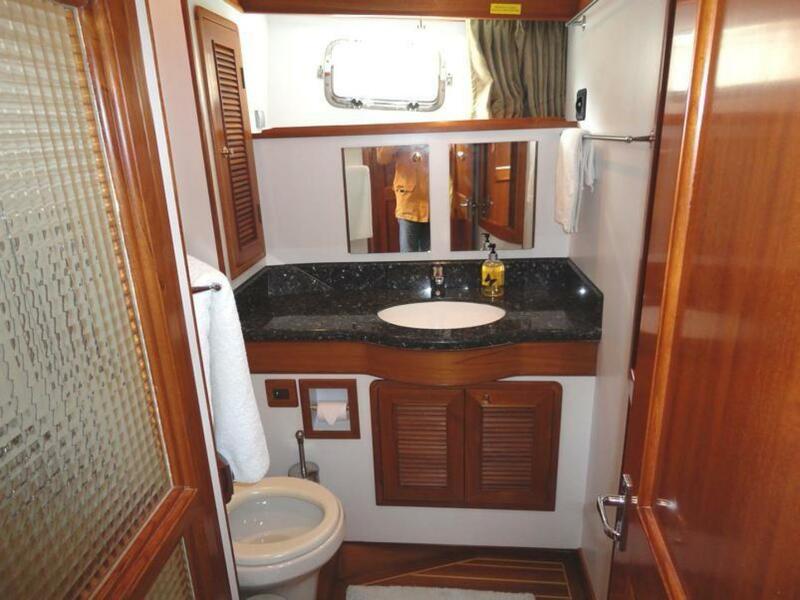 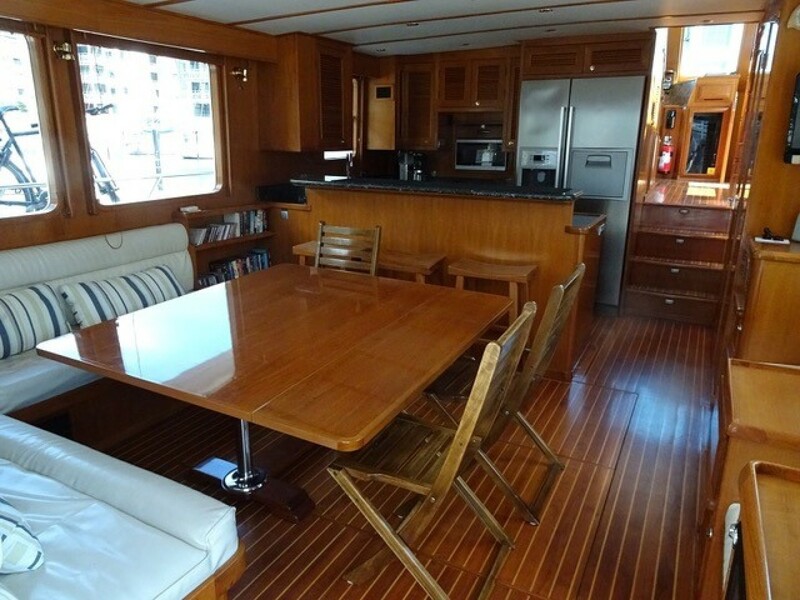 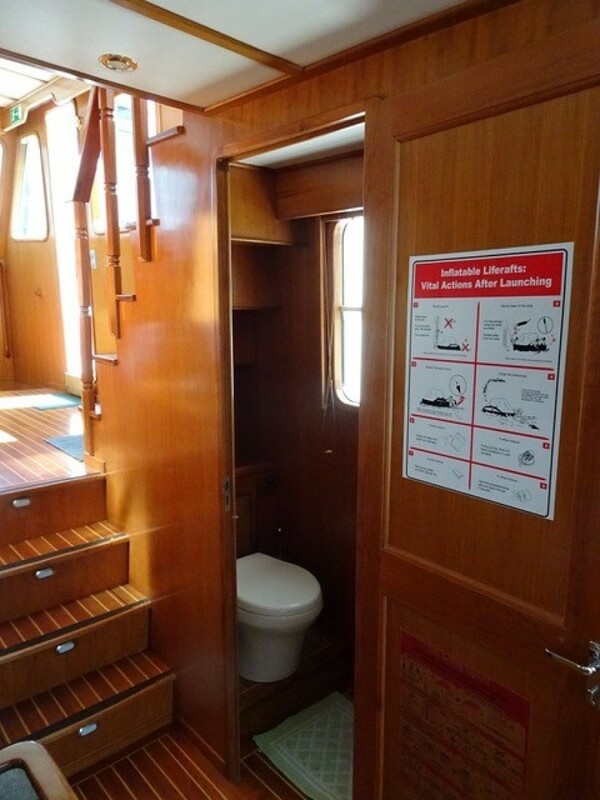 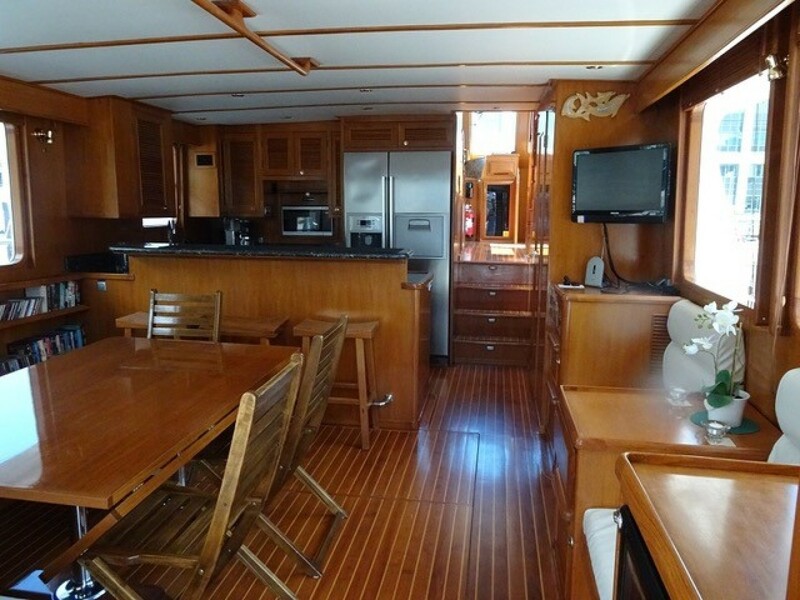 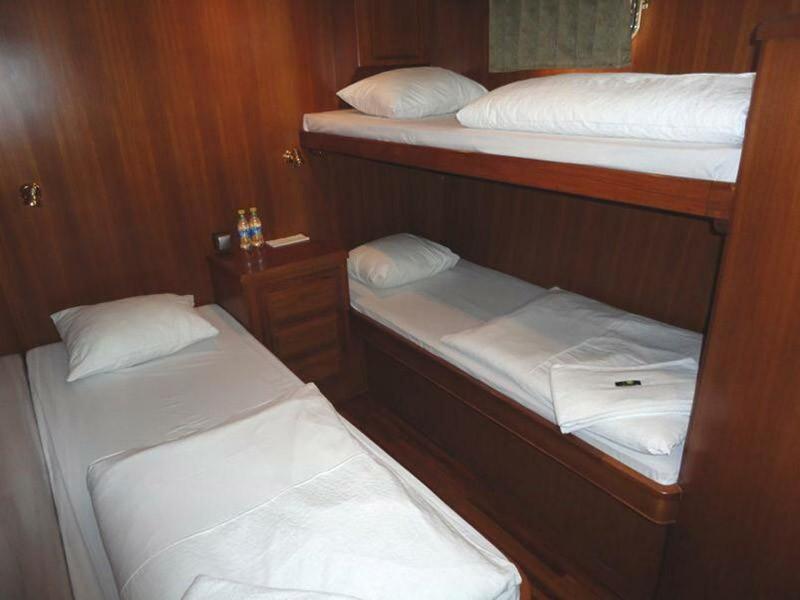 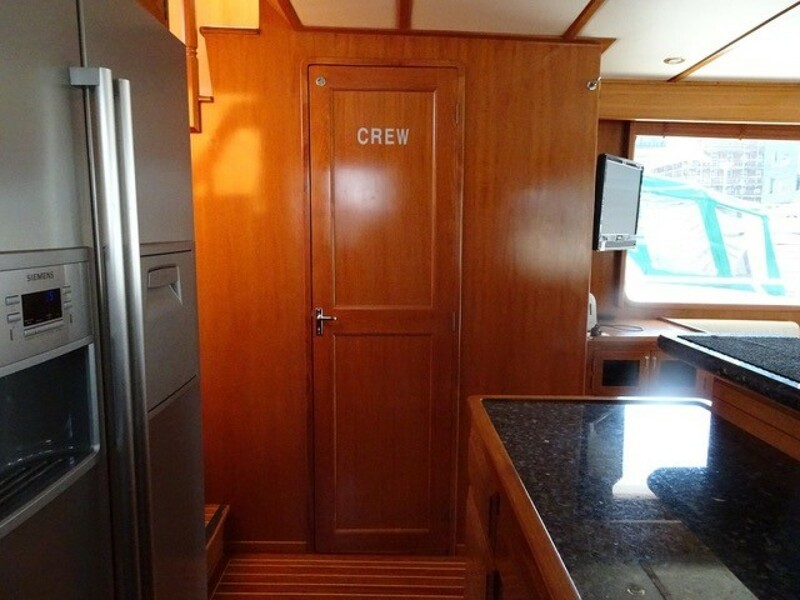 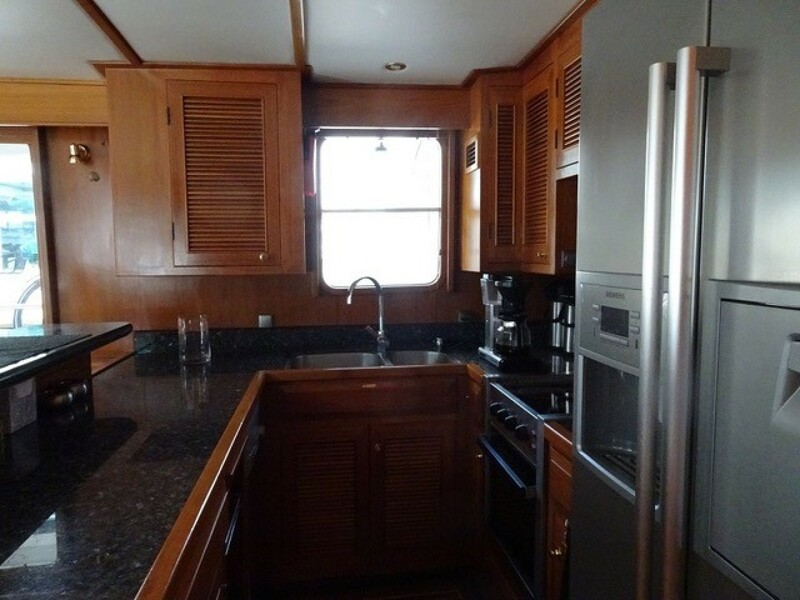 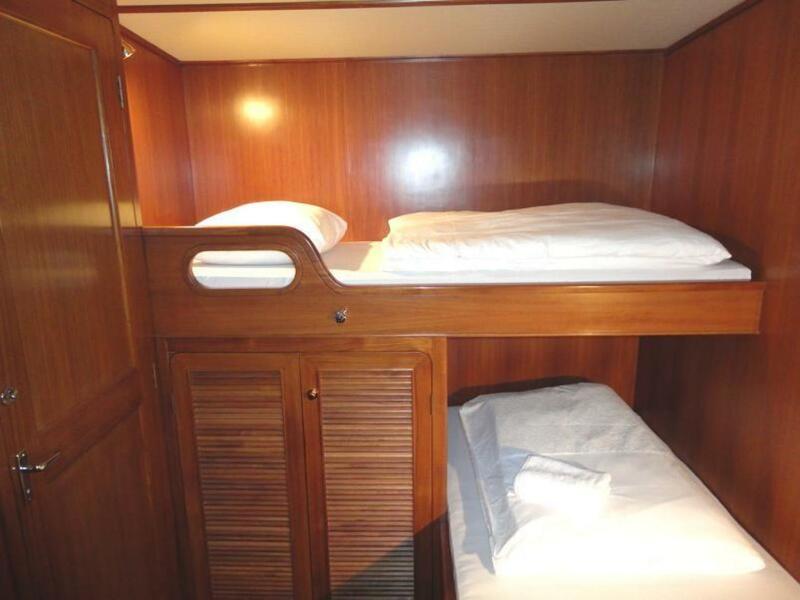 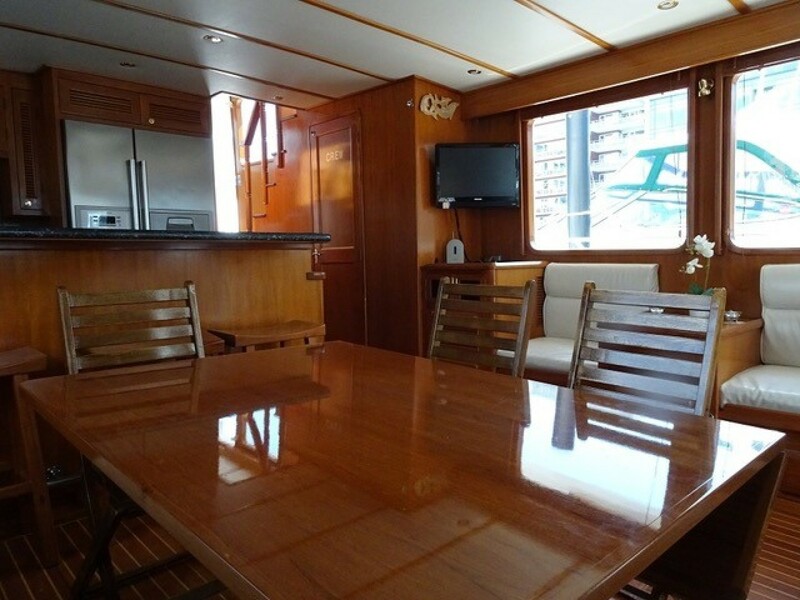 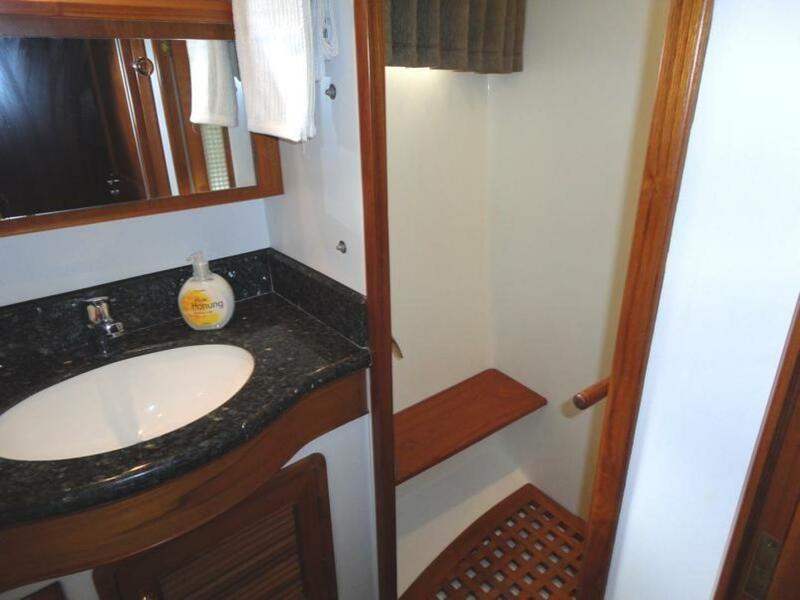 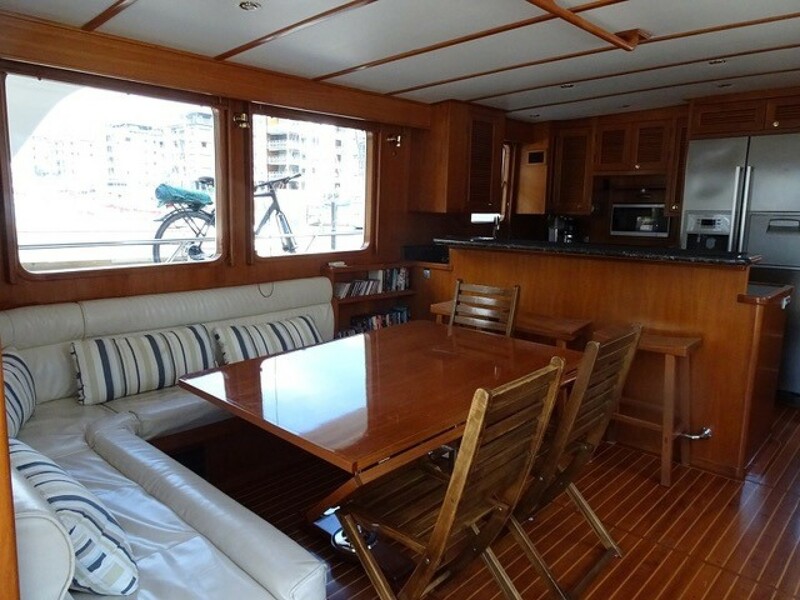 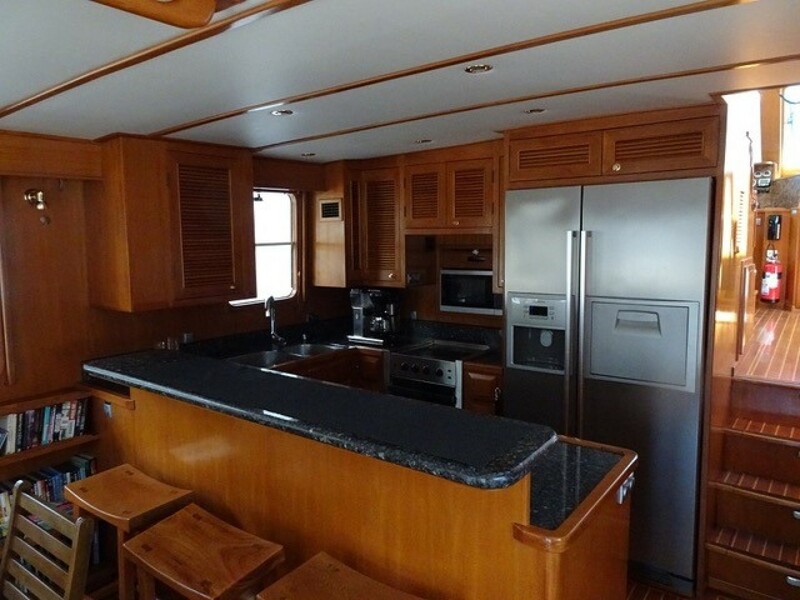 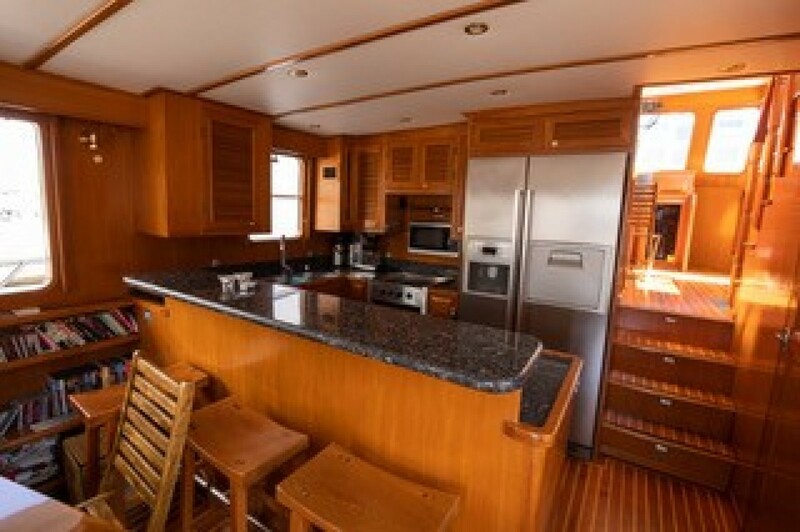 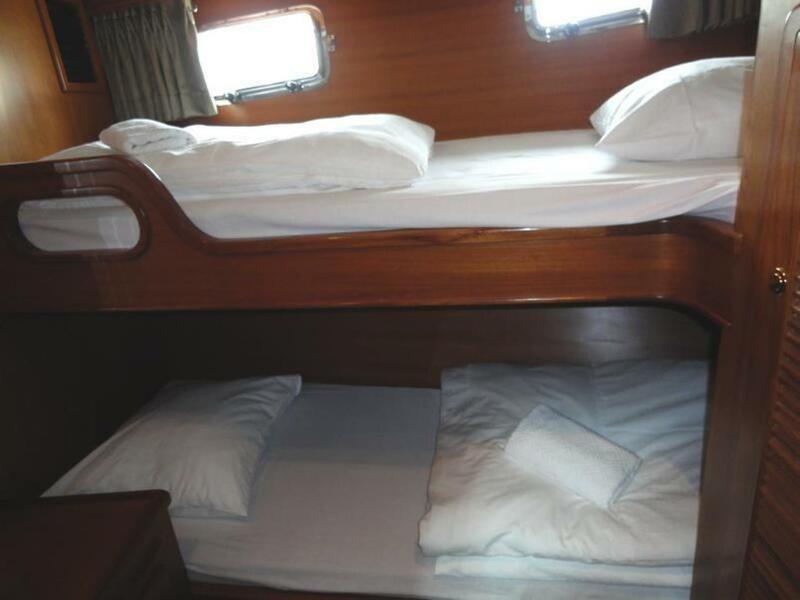 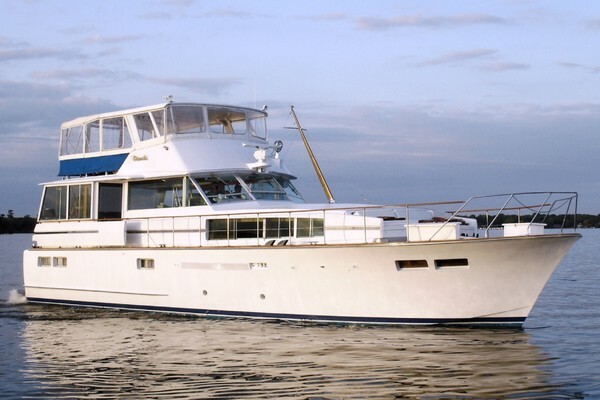 Her 4 staterooms plus crew quarters makes her perfect for a large family or a charter vessel. 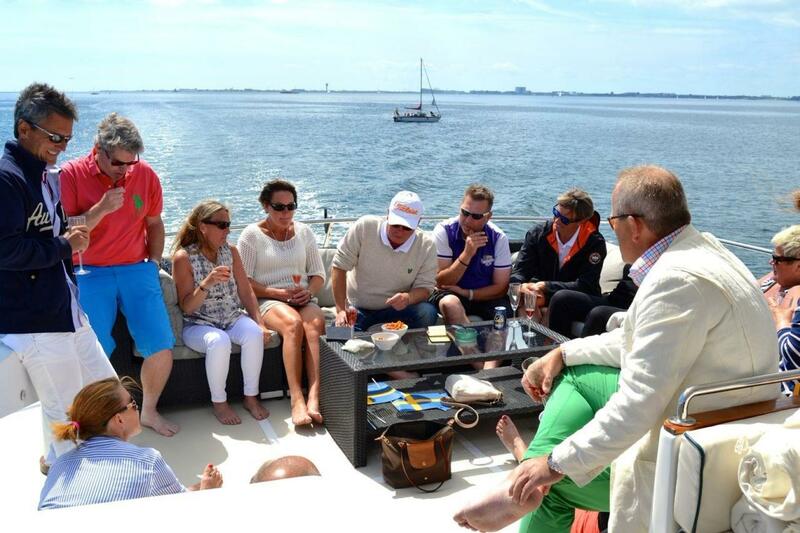 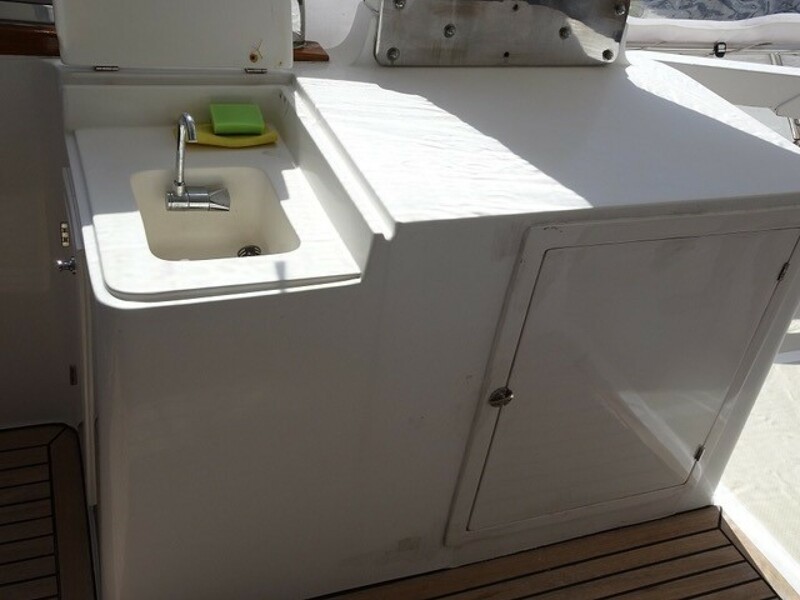 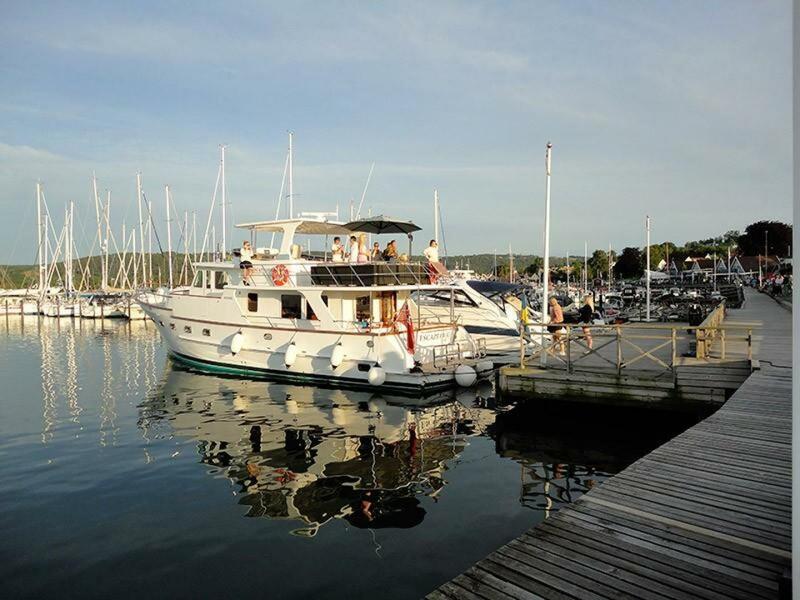 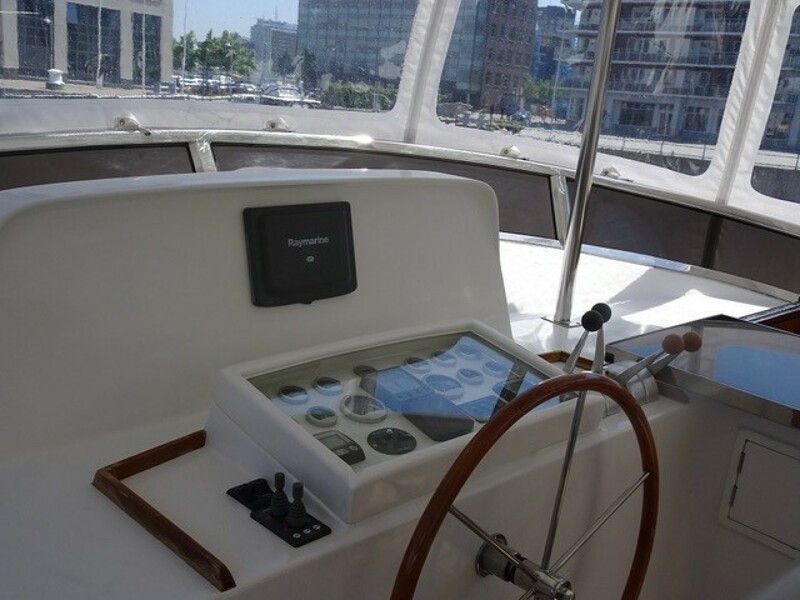 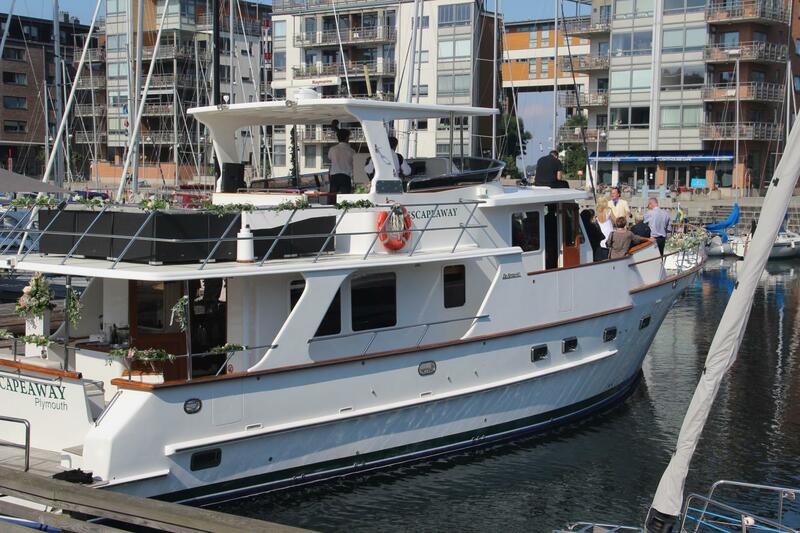 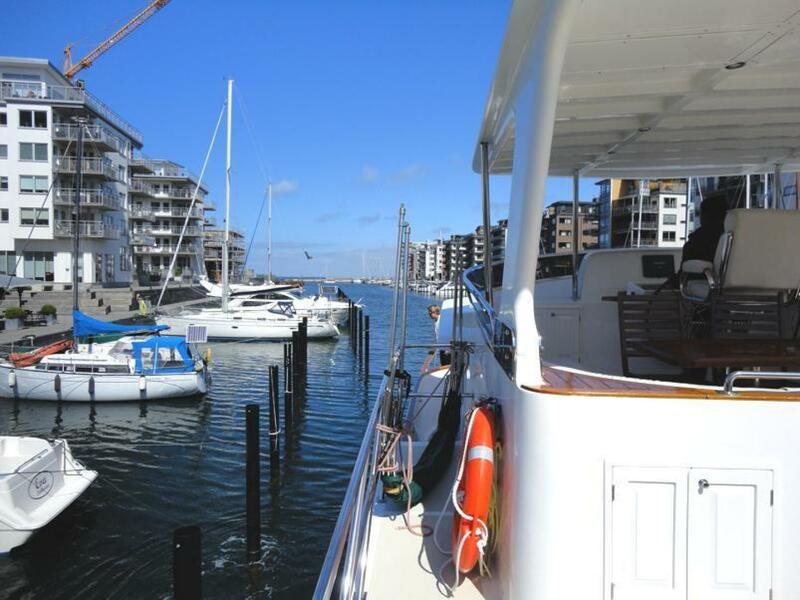 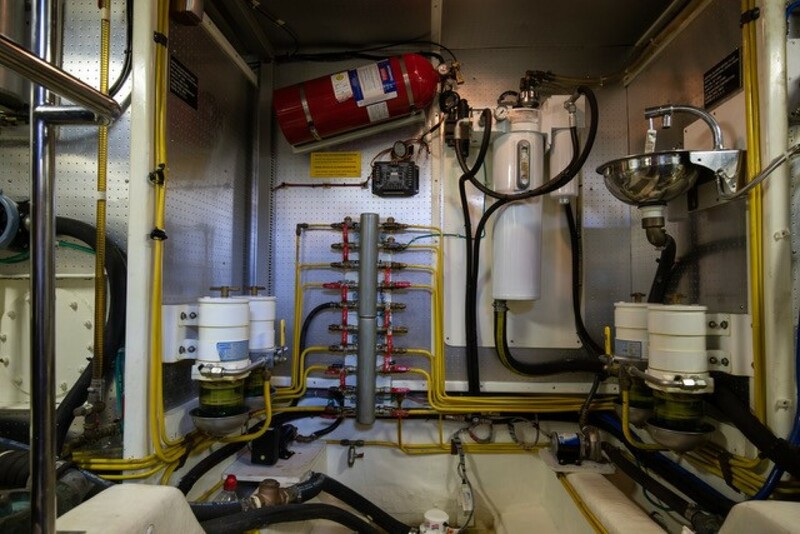 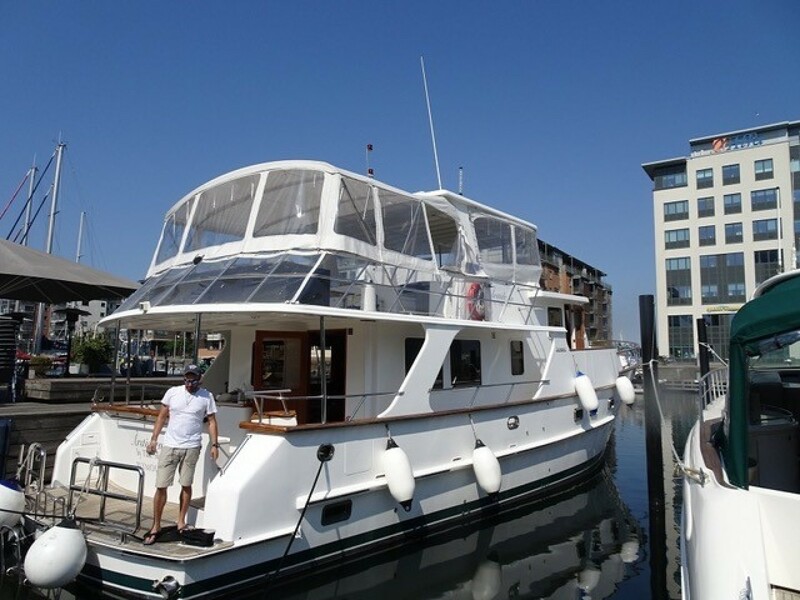 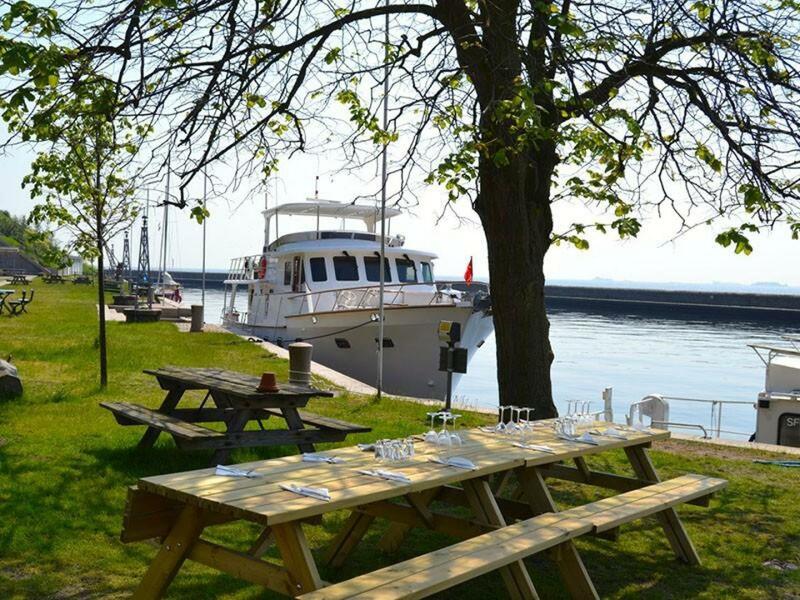 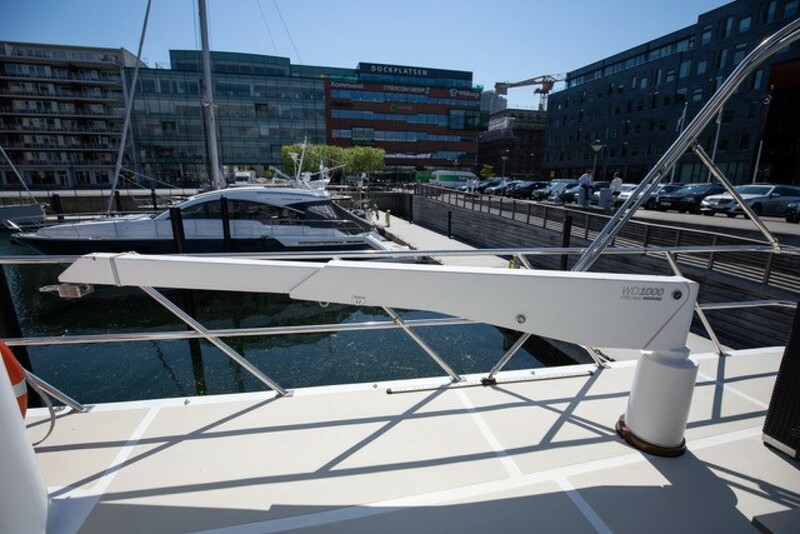 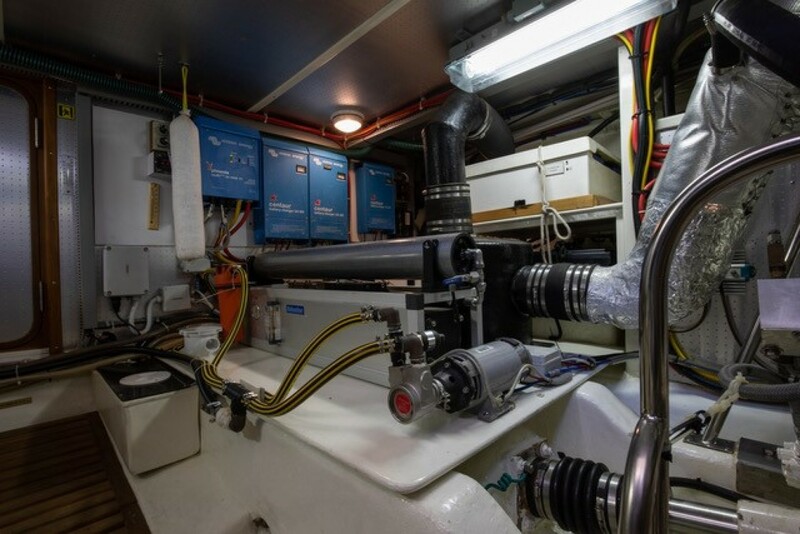 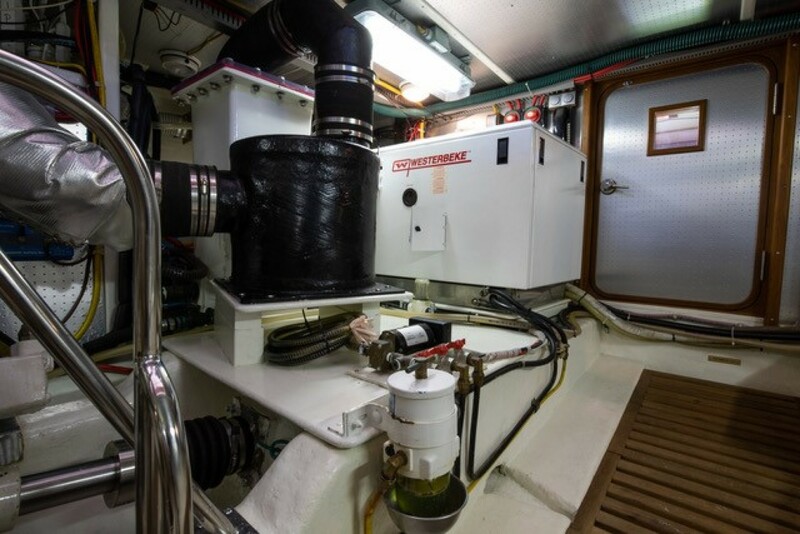 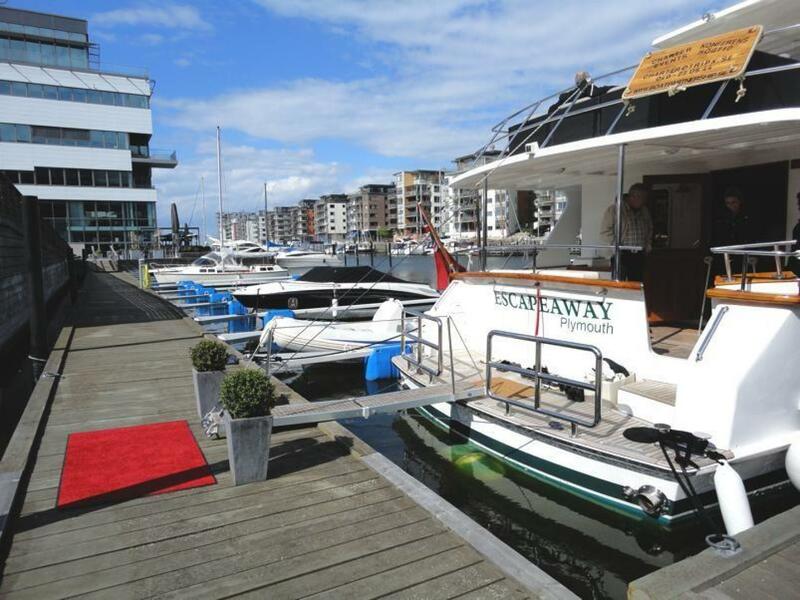 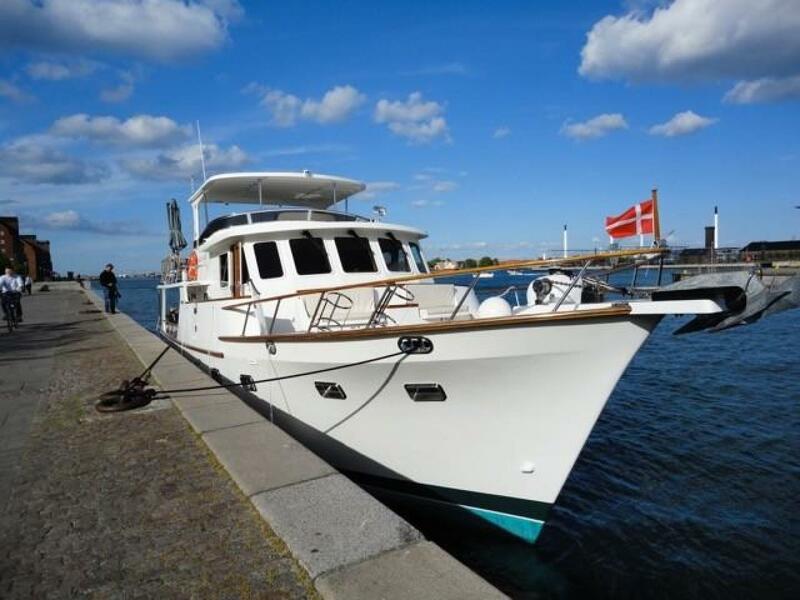 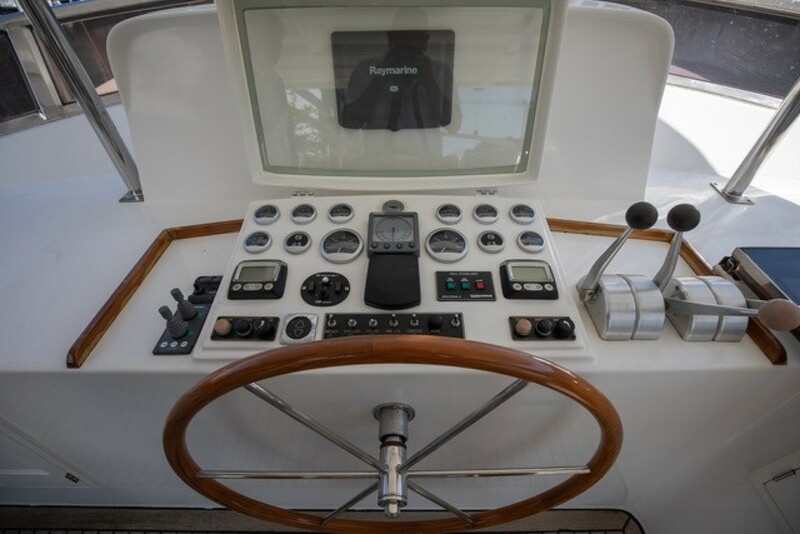 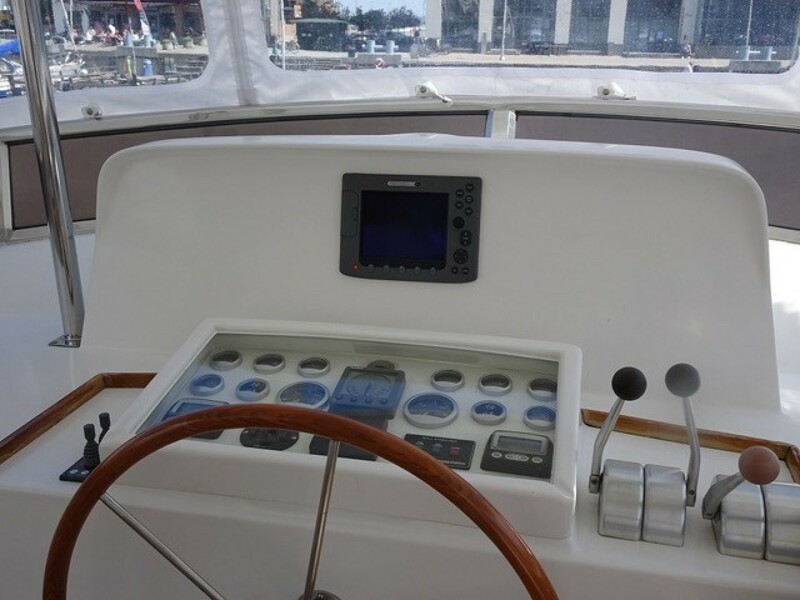 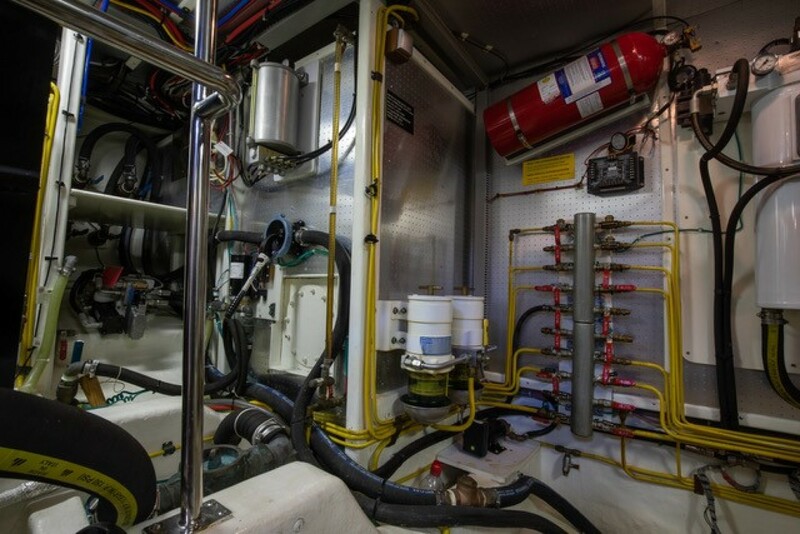 Powered by highly desirable John Deere engines (300 Hp Each) (224kw each) which have been Captain maintained since new. 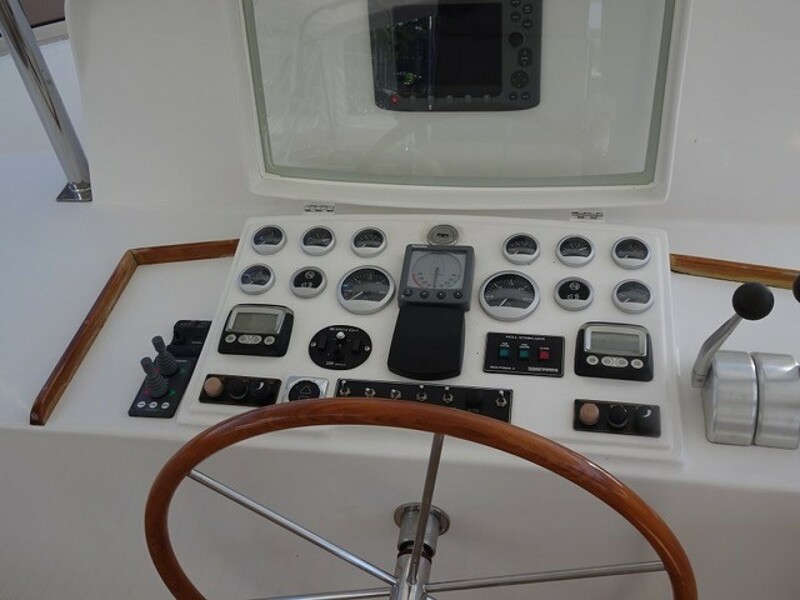 ONLY 2350 hours. 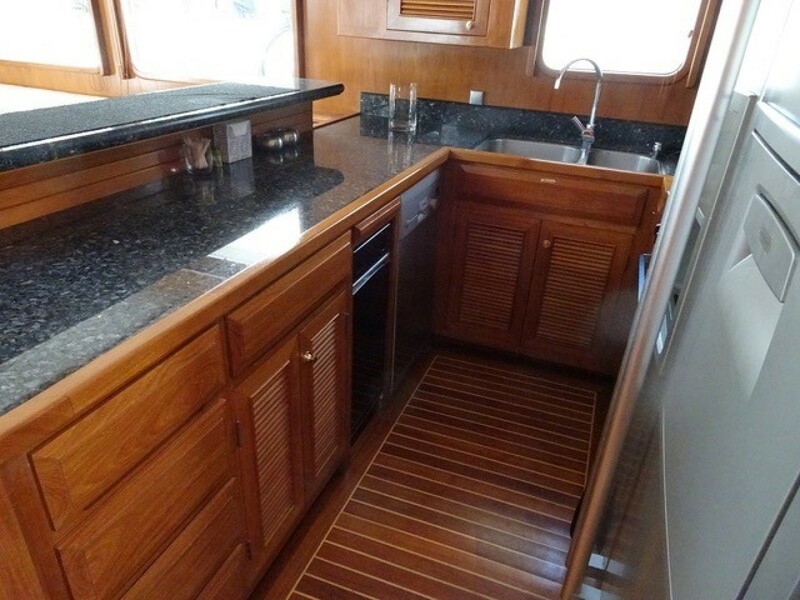 4 bladed bronze propellers 30" X 20"
She has everything you need to prepare a gourmet dinner or a quick lunch. 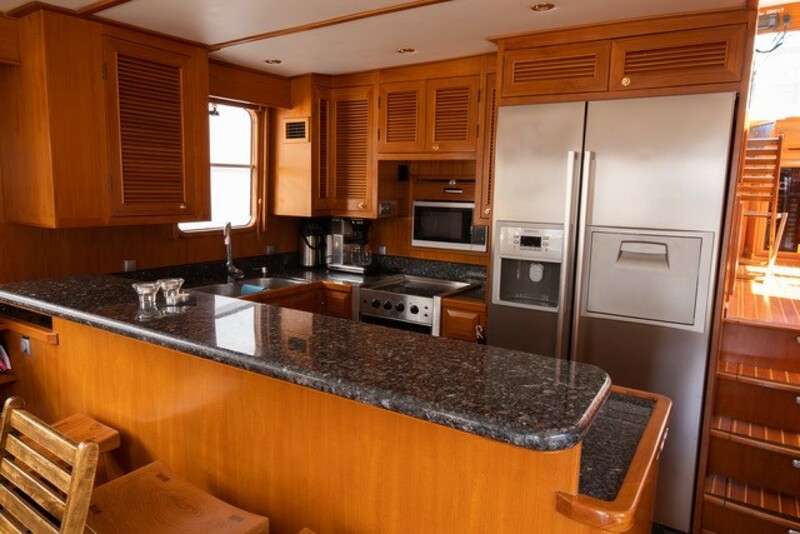 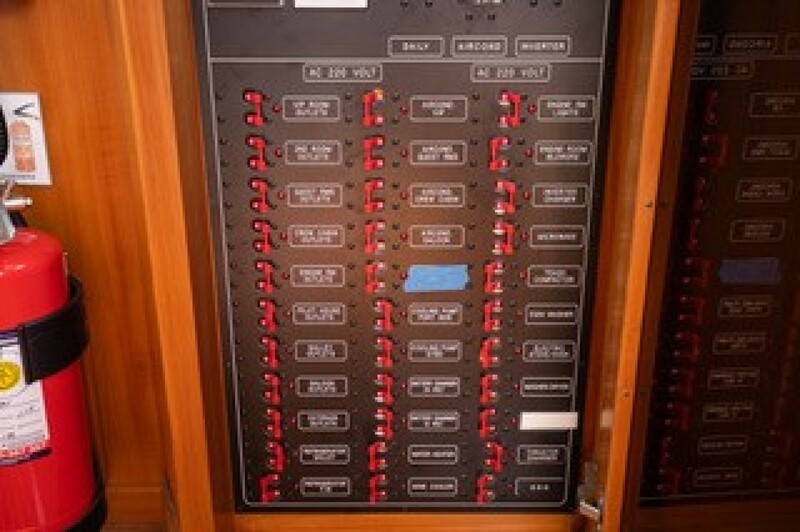 With the latest equipment, and room to work - what's for dinner?